In this post we will learn about how to tar the webauth bundle and which software we need to use it to compress. Today I spent almost 3 hours to upload webauth bundle to WLC. I tried to archive tar file by using these software. I tried with both above mentioned software but that couldn’t work. It shows that’s there is something wrong with the tar file. But frankly speaking I don’t believe that any windows based software will work. I have already told that today I wasted almost 3 hours to get it work. I am not good at linux but what I used here is very basic commands. Check which files are under this directory? Now let’s go to WLC and try to upload this file (testwebauth.tar ). In this post we will learn about Load Balancing feature on WLC. Normally this feature is called as Aggressive Load Balancing. This feature mainly does the Wireless clients load-balance across APs. As per my opinion, it’s a very cool feature be able to balance client distribution on the wireless network. ***Note: Clients are load balanced between access points on the same controller. Load balancing does not occur between access points on different controllers. ***Note: It works at the association phase. When a Client tries to associate to a LAP, association response packets are sent to the client with an 802.11 response packet including status code 17. The code 17 indicates that the AP is busy (Means no more can associate to me, so please find other AP) . The AP responds with an association response bearing ‘success’ if the AP threshold is not met, and with code 17 (AP busy) if the AP utilization threshold is reached or exceeded and another less busy AP heard the client request. Now here arises a problem: If AP discarded or sends a status code 17 to Client then client have to decide to ignore it or still use the same AP. 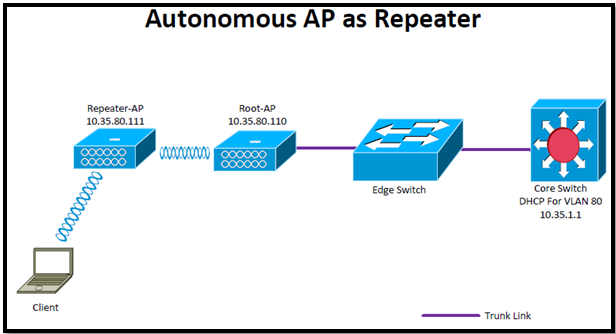 Some of client driver uses the same AP for connection once again but most of the other type of clients tries to find other AP for connection. (So this process depends on vendor drivers, you cannot force them to use specific AP). denial         Configures Aggressive Load Balancing denial count. window         Configures Aggressive Load Balancing client window. (WLAN1) >config load-balancing window ? <client count> Number of denials <0 to 20>. 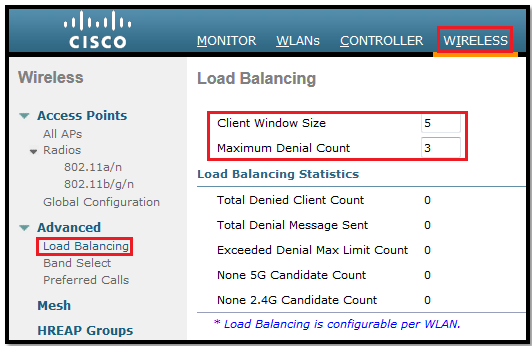 (WLAN1) >config load-balancing denial ? <denial count> Number of denials <1-10>. Client Window Size: The client size window and client on least loaded AP determine the load-balance threshold value. Before configure the load balancing intelligence, remember the formula. An AP is considered busy once it has a number of associated clients equal to the Client Window Size plus the number of clients on the least loaded AP in the area. Example: Suppose I have 3 AP. As per last screenshot I have Client Window Size is 5. Means if any new client wants to Join AP1 then client will get the status 17 (Busy) message or in other words this AP (AP1) considered to be busy. The Maximum Denial Count parameter allows the user to configure the number of times the client associations will be rejected for a particular AP. The Maximum Denial Count can have a value between 0 and 10. (WLAN1) >config wlan load-balance ? allow          Allow|Disallow Load Balance on a WLAN. (WLAN1) >config wlan load-balance allow  ? enable         Allow Load Balance on a WLAN. disable        Disallow Load Balance on a WLAN. In this post we will learn about this feature. Today I faced a problem while a client was continuously trying to connect to 2.4 GHz even though the traffic was full congested/fully loaded/Full with interferences. Then I thought, is it a way to force dual band clients (Which support both frequency range 2.4GHz and 5 GHz) to connect with 5 GHz radio and tried to find out cisco docs or tech-notes and finally came out with this feature. This feature provides option for the dual band clients to join the 5 GHz radio compared to the 2.4 GHz range. As we all know that clients on this band (2.4GHz) typically experience interference from Bluetooth devices, microwave ovens, and cordless phones as well as co-channel interference from other APs because of the limit of three non-overlapping channels. We can use this feature to improve overall network performance. Band direction enables client radios that are capable of dual-band (2.4- and 5-GHz) operation to move to a less congested 5-GHz access point. ***Note: Band Select is configurable only when Radio Policy is set to ‘All‘. ***Note: This Feature only works when a client first associates to AP. ***Note: This feature will not start when the AP notices a high client count or high channel utilization. ***Note: This feature only goes in one direction (2.4GHz à 5GHz) not the other way (5GHz à 2.4GHz).Means it will not load balance clients on AP. 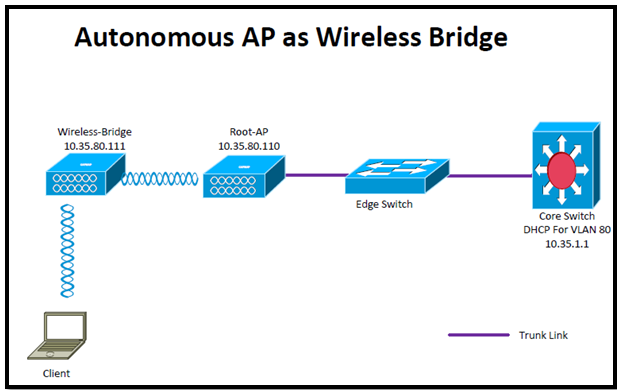 The Cisco accomplishes this is by delaying/suppressing the first few 802.11b/g probe frames so that client will accept the 802.11a probes because it will appear to have a quicker response time. We can configure this feature globally: Wireless > Advanced > Band Select, and also can be enabled on per WLAN Basis: WLAN > Advanced > Client Band Select. This is useful if we want to disable band selection for a specific WLAN or specific client which is running time sensitive applications (Like: Voice). The cycle count is the number of times a client is denied before being allowed on 2.4 GHz. The cycle period is how much time needs to pass for the next associating attempt to be considered a unique attempt. Age Out Dual Band: The AP will not respond to a 2.4 G-Hz probe until a (dual-band) client is no longer marked as dual-band (default is 60 seconds). This is to prevent clients associated on 5 G-Hz radio from switching back to 2.4 G-Hz radio. And the Acceptable Client RSSI is how well a 2.4 GHz client needs to be heard before trying to push them to the 5 GHz band. client-rssi    Sets the client RSSI threshold. cycle-count    Sets the Band Select probe cycle count. cycle-threshold Sets the time threshold for a new scanning cycle. expire         Sets the entry expire. (WLAN1) >config wlan  band-select ? allow          Allow|Disallow Band Select on a WLAN. (WLAN1) >config wlan  band-select allow ? enable         Allow Band Select on a WLAN. disable        Disallow Band Select on a WLAN. 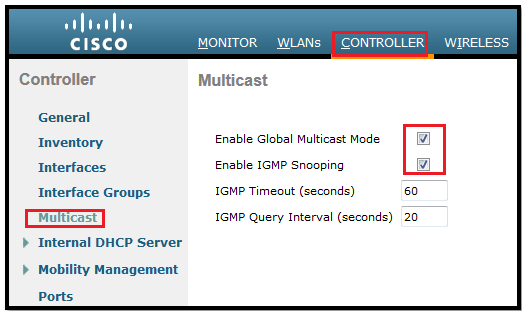 (WLAN1) >config wlan  band-select allow enable  ? That’s all about this feature. It’s the same procedure what we did in last post to configure the Infra AP to make as backup WDS device. First we have to add the WDS-Client AP as a NAS on the primary AP’s radius server so it can request for authentication. Configure Radius and infrastructure server configure (Same as previous post). Then we have to configure Radius and wlccp parameters on WDS-Client AP. This WDS configured with a lower priority of 250 because we have other AP (WDS-AP) with 254. Now let’s take a look at the results. Now we will configure both AP to provide service to clients. This is all we have to configure; now we can setup connection with client and test it. 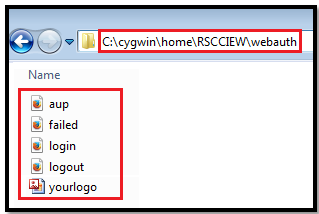 See the client status: Client will authenticate from Primary WDS Device.